Heritage Heights Block Watch update. 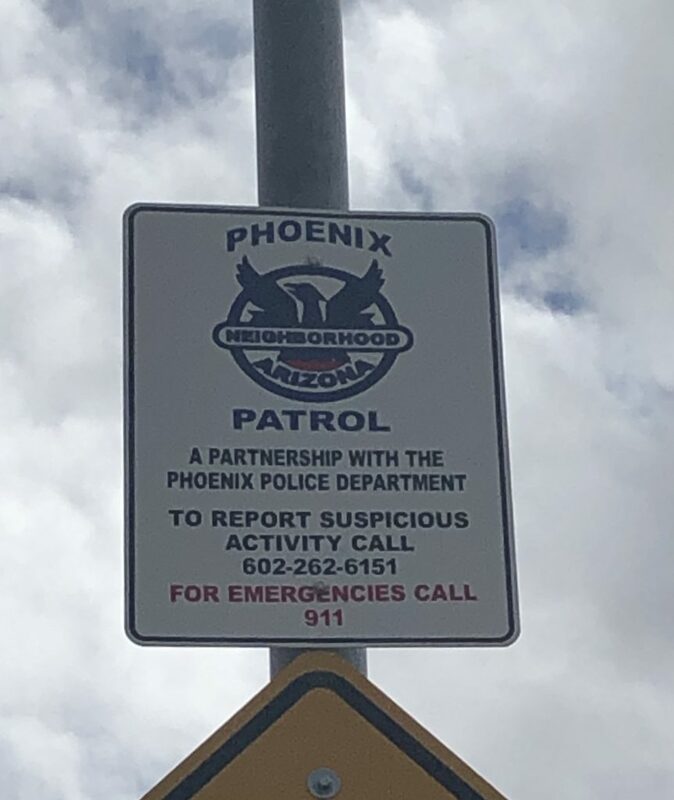 They have new signs in their community. 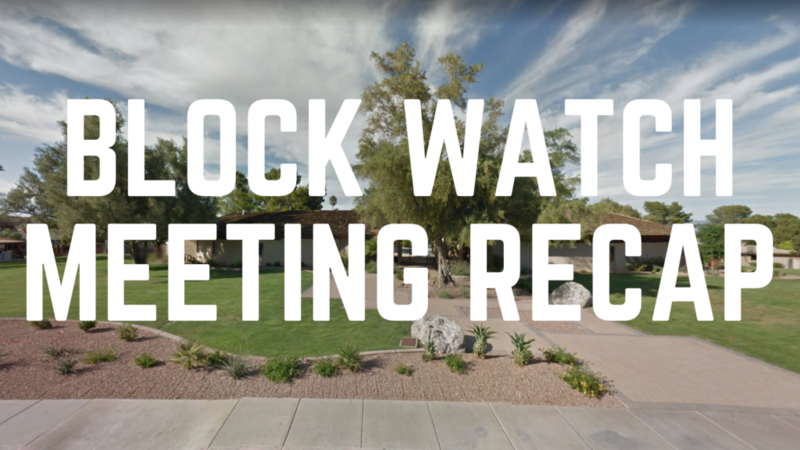 Paradise Gardens, Heritage Heights, Mountain Preserve, Mountain Estates – all block watch groups have applied for grant money to support the 2019 Community party at Mercury Mine Park. We are looking for volunteers to help plan the party and or to help on the day of the event. Mountain Estates and Paradise Gardens will be working on small gatherings within their own Block Watch areas to promote and strengthen sense of community. Craft beer /New Mexico style and smoked meats restaurant opened at 3128 E Cactus. It is owned by the original owner of 32 Shea. Here is their website and an article about them in the AZ Republic. Zipps is still working on getting their permits to open in the plaza on the NW corner of 32nd St & Shea where Leslie Pools used to be. Second Look Consignment located on the NW corner of 32nd St and Shea has decided to close its doors after 39 years of business. No news of anything new going into the large vacant Walgreens location on the NE corner of Shea and 32nd st.
Paradise Valley Mall has been waiting to redesign the mall until Sears lease was up. That has now occurred and Sears is closed. The mall will be redesigned to be more of an outdoor mall like Desert Ridge. The anchor stores, Macy’s, Dillards, JC Penny’s and Costco will remain. Update from Bob Yantzer, resident of Paradise Gardens, regarding 32nd St & Shea beautifical and safety collaboration. 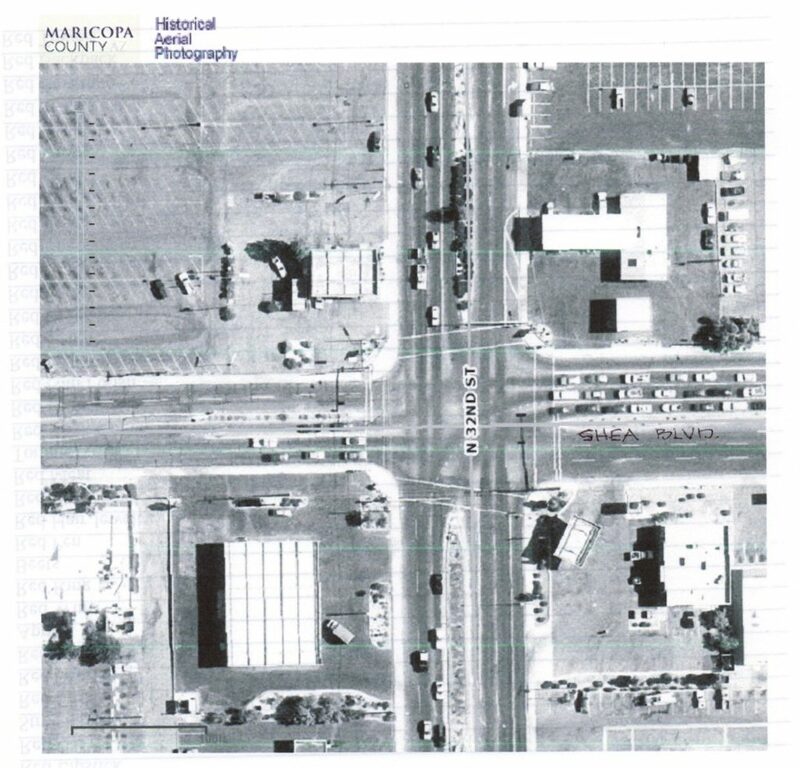 Ariel photograph attached from prior to highway 51 coming north. There were decorative medians along 32nd St and in every direction at the intersection of Shea and 32nd St.
Bob, along with other community members, a push to get those decorative medians back. This will enhance the look and feel of our area plus medians can control pedestrian and vehicular traffic as around that intersection is getting very busy and dangerous. A petition was was available at the meeting for neighbors to sign showing their support. If you would like to sign the petition, let me know and I can get it to you. Update from Bruce Cutting, Block Watch Leader of Paradise Gardens, regarding the vacant lot next to the new Young Minds School at 32nd St & Mountain View. The lot is currently owned by Young Minds Center but is under the CC&R’s of Paradise Gardens Subdivision. It is zoned as residential. In order for anything to be done with the land other than build homes, the land has to be removed from the subdivision of Paradise Gardens and therefore will not be under the CC&R’s. That is possible, but the Paradise Gardens residents have asked for a preliminary plan of where the buildings may be; an idea of the buildings set back from 33rd St. and the height of proposed buildings. Once this is completed, the school has plans to add buildings but that may be years down the road. In the meantime, there is talk of it becoming a Community Garden. Update from Bill Wiley from City of Phoenix Streets Dept. regarding Street Transportation Dept. 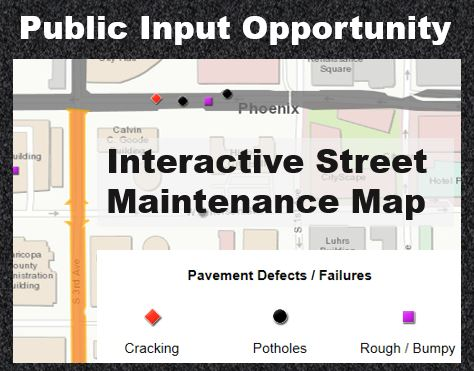 The Phoenix City Council took action at its formal meeting on Wednesday, Dec. 12, 2018, to accelerate the city’s pavement maintenance program, unanimously approving the first steps to implement a plan that advances $200 million in pavement maintenance projects on arterial and major streets. The Council’s approval follows action taken in October to advance pavement maintenance efforts through the financing of Transportation 2050 (T2050) street program revenues. During this five year period, more than 600 street miles are programmed to be repaved. Residents will see nearly a 300 percent increase in the number of major-street miles that are currently paved per year. In addition, this boost in budget also allows for more bicycle lanes to be added on city streets as the newly paved roads are restriped. This will help ensure the establishment of a well-connected citywide bicycle network and helps the city reach its T2050 program goal of 1,080 new bicycle lane miles. Next steps for this program include identifying the highest priority streets to receive mill and overlay treatments for fiscal years 2021 through 2023. As part of this effort, a public input effort will be launched in early spring of 2019 to allow community members to share their feedback on the proposed streets for these fiscal years. For more information about the city’s pavement preservation program, visit the link below. Which streets do you want to see included in the pavement maintenance work plans for fiscal years 2021-2023? Use our interactive street maintenance map (link below) to share your input. Below is a form that you can download and fill out requesting Street repair. It was a great meeting with about 70 people in attendance. 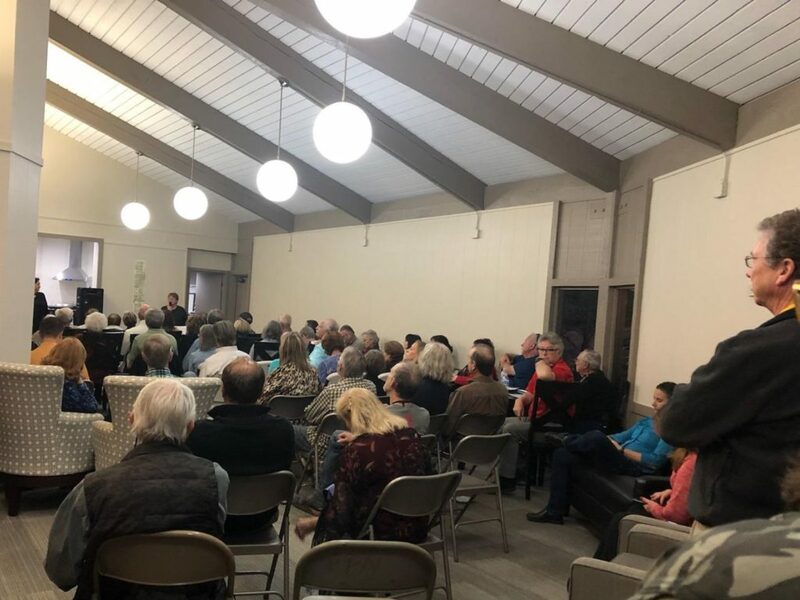 We appreciate how many neighbors come out to hear what is going on and get involved in the community.